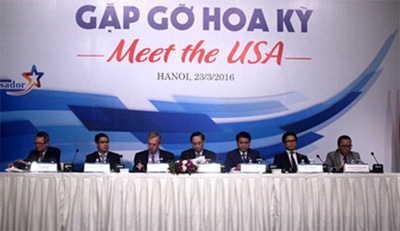 The Hanoi Municipal People’s Committee, Vietnam’s Foreign Ministry, and the US Embassy in Vietnam organized a workshop “Meet the USA” in Hanoi on Wednesday. Leaders from 40 cities and provinces and representatives of 50 Vietnamese and US enterprises attended the event. In their addresses, Chairman of the Hanoi Municipal People’s Committee Nguyen Duc Chung., Deputy Foreign Minister Le Hoai Trung and the US Ambassador to Vietnam Ted Osius praised the significance of the workshop saying it created an opportunity to enhance Vietnam-US ties. Mr. Le Hoai Trung said Vietnamese localities and enterprises are determined to improve their competitiveness through fine-tuning institutions and improving human resources. 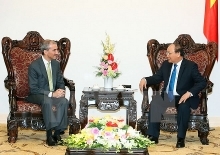 Trung said he hoped the US partners would urge the US administration and Congress to support the bilateral economic ties between the two countries. 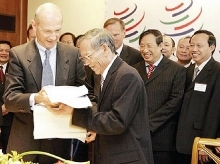 Ambassador Ted Osius said the TPP would bring major opportunities for both side and hoped Vietnamese localities and enterprises would expand cooperation with US partners./.